WordPress is a free website system, but the best things in life aren’t completely free. Here’s a list of paid solutions and services which we highly recommend. After all, isn’t your business worth a few bucks for the best? *Note: These are affiliate links to Products and Services that we have used, enjoy, and recommend. If we don’t like it, we won’t promote it. So you only get the very best! 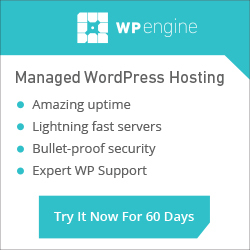 Step 1- Get The Best WordPress Hosting! and much more for very little cost? You’ve got the best website solutions. So, now we can get to business and your website will work for you.